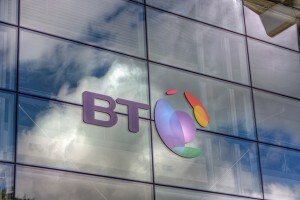 Redcare, BT’s market-leading specialist in secure, monitored communications services, will be exhibiting its new Roaming SIM at IFSEC 2011, alongside its full product portfolio. The Roaming SIM works with Redcare Secure – an alarm signalling system that comes in three variants to suit the risk level of property to be secured and technology preference. The options are Secure 2 (for Grade 2 risk), Secure 3 (Grade 3 risk) and Secure IP (Grade 4 risk). If the connection goes down, Roaming SIM automatically connects to other available cells with no interruption in service. It intelligently selects a strong signal rather than giving priority to one network, ensuring a better and more reliable service. Its resilience and automatic connection means fewer communication failure alarms and service outages – and less hassle. The Roaming SIM will also be available to use with Redcare Complete from June 1, 2011. A new service offering alarm signalling with visual verification, which consists of integrated fire, intruder and event driven CCTV. Redcare Complete is a dual path broadband and mobile data (GPRS) high-security signalling service with event-triggered video recording, remote surveillance, secure ADSL broadband router and 24-hour battery standby, all in a single package. The service is designed to connect to an Alarm Receiving Centre (ARC) over fixed IP infrastructure such as broadband or LAN connection and has an inclusive GPRS back-up that provides a secondary path in the event of failure. Redcare Complete can significantly reduce overall costs when replacing separate fire, intruder and CCTV signalling services and lines (PSTN/ISDN). The most widely used alarm signalling system in the UK, Redcare Classic is a grade 4 system. The service provides continuous monitoring of the BT telephone line that links a professionally installed alarm system on a customer’s premises to an ARC. The result is continuous protection, every second of the day, every day of the year. Still regarded by many installers as the most reliable and robust intruder alarm system on the market, Redcare GSM is a Grade 4 signalling system. The BT phone line on which the Redcare GSM operates is monitored constantly and if the line is cut or there is a fault on the line this is signalled to the ARC within just 40 seconds. Redcare GSM also benefits from being a “dual path” system. The main BT telephone line on which Redcare GSM operates is the “primary path”. Redcare GSM also provides the reassurance of a back-up link, a “secondary path” that uses the mobile phone network to communicate with the ARC if the primary path fails. Redcare is recognised as having a world-leading platform for connecting, controlling and managing data, serving some of the largest organisations in the world. Its solutions help customers to benefit from automated, intelligent decisions and responses. As the largest supplier of alarm signalling services in the UK, Redcare’s services secure hundreds of thousands of homes and businesses. Redcare is on stand D130, Hall 4 at IFSEC 2011 (May 16-19, 2011) Birmingham NEC.